What was once thought to be a single piece of a Maya ritual outfit, is now found to be only a small piece of what was once a full body suit. 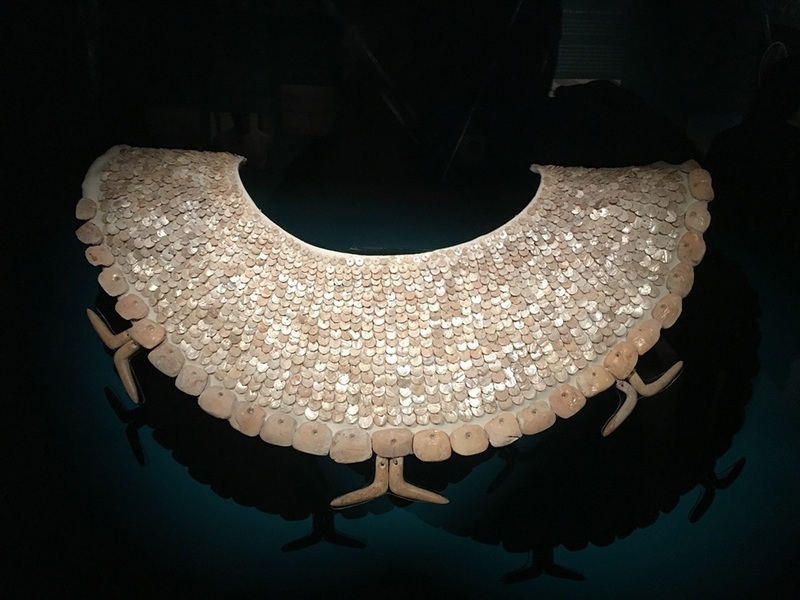 The piece, a ritual garment that resembles an oversized necklace or perhaps even a chest plate, can be found at the Templo Mayor Museum in Mexico City, but was found over 1,400 km away, in Oxtankah, Quintana Roo. The garment is constructed of over 1,600 pieces, made from local mollusks. The garment was found during the exploration of a burial chamber on the south side of Quintana Roo, in 2000. The piece was found upon a pile of bones, which belonged to a high dignitary of the city of Oxtankah, he is thought to have died over 5,000 years ago. The high dignitary who was buried with the garment, was most likely a fisherman who spent his life fishing the Caribbean Sea off the coast of Oxtankah. 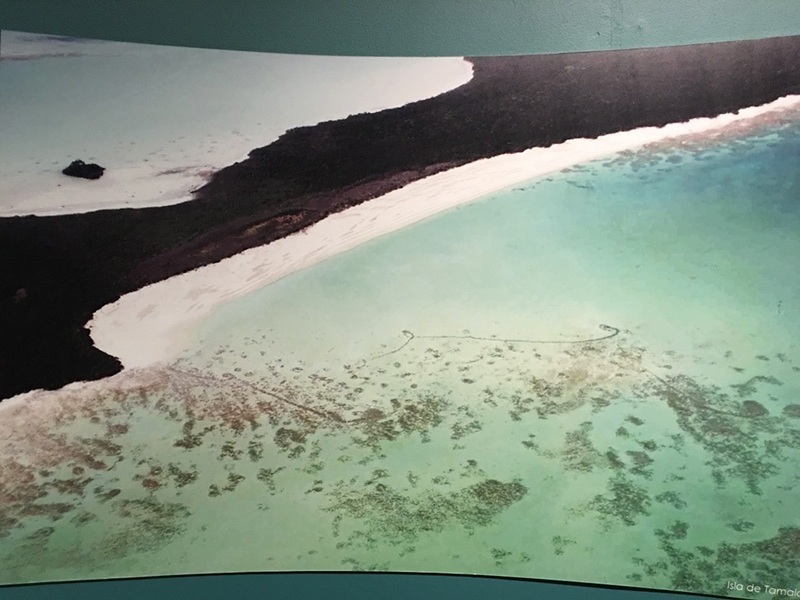 Just like many of his Maya brethren during this time, he may have used the Mesoamerican Reef, which is located just off the coast of Quintata Roo, as a traditional fishing spot. The garment also reflects the seafaring ways of this man, as the 1,620 circular beads, and the 34 different pink tones, blended with one another to refer to the vast water world that was venerated by Maya society. The components of the garment are what makes it spectacular. From what we know about the man, being a high dignitary, we dive deeper and find that the mollusks shell’s that make up the garment show the true meaning that it held to the Maya. 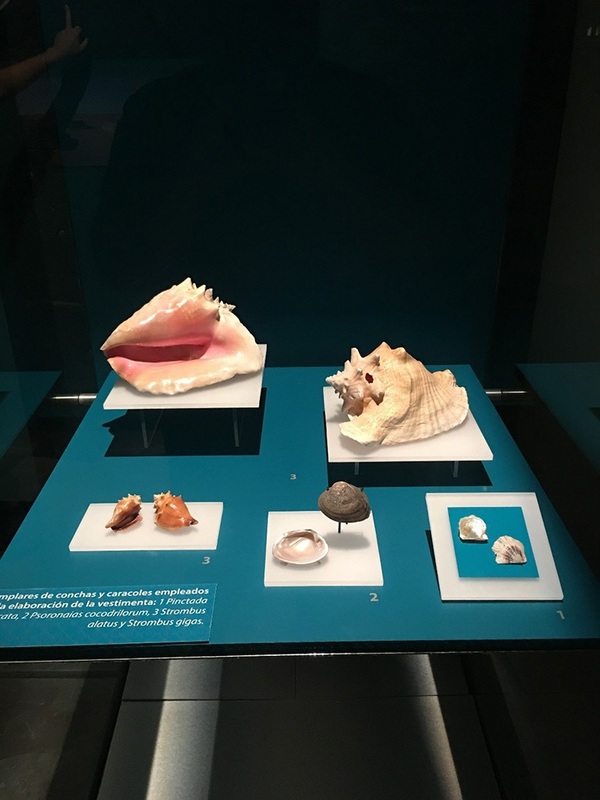 The piece is spun from more than 1,600 shells, from four different types of local mollusks, three of which come from the Caribbean, both seawater and freshwater, most likely from either Belize, or the Guatemalan Petén, geographically the northernmost part of Guatemala. “Based on specialized manuals it was determined that 1,620 circular beads were made with sequins mollusks Pinctada imbricata and Psoronaias cocodrilorum” (Oxtankah, Luxury and Power). 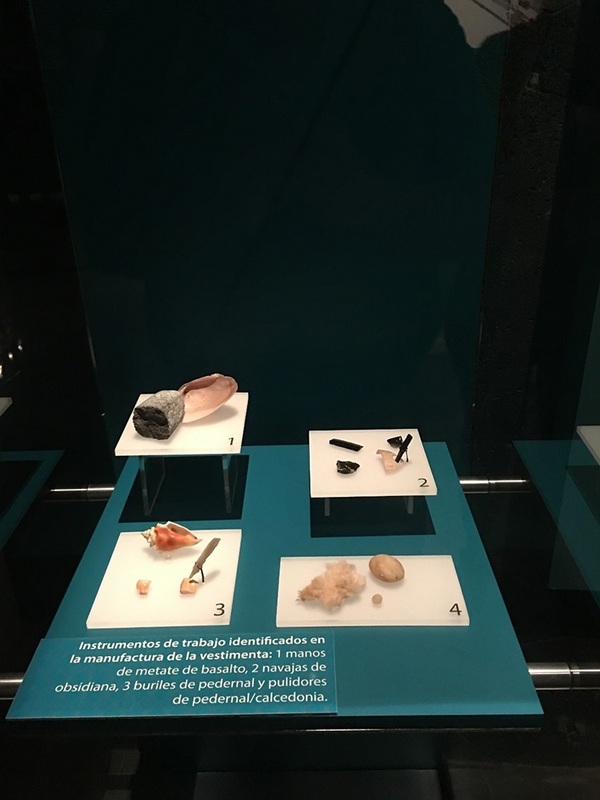 The placement of these shells, are made to resemble the scales of the slivery fish, Xihua, which had a very high population in the waters around Oxtankah and was of great value to the Maya people who lived there. The importance of Xihua, and the symbolism that the piece displays, gives homage to fishing and maritime culture of the Maya at Oxtankah. With the use of both freshwater and seawater shells, it allows a visual example of the artistic style they planned for not only this piece, but for the whole body suit, which has yet to be recovered. The freshwater pearls emitted light colors, while the seawater ones emitted darker tones, with the mixing of these two pearls, the makers of the piece were looking for the pearlescent color. Also found alongside of the necklace or chest piece, were twenty-eight rectangular ear rings and three L-shaped pendants. This insinuates that this man was buried in much more than just a ritual necklace or chest plate, and that there is still more to be discovered about it in Oxtankah. The discovery of this piece brings a little light on how the Maya viewed and used the vast waterways that they lived on. Paying respects to the fish that provide their sustenance, the Xihua, making a full body suit to resemble it gives us a glimpse into the Mayan culture. 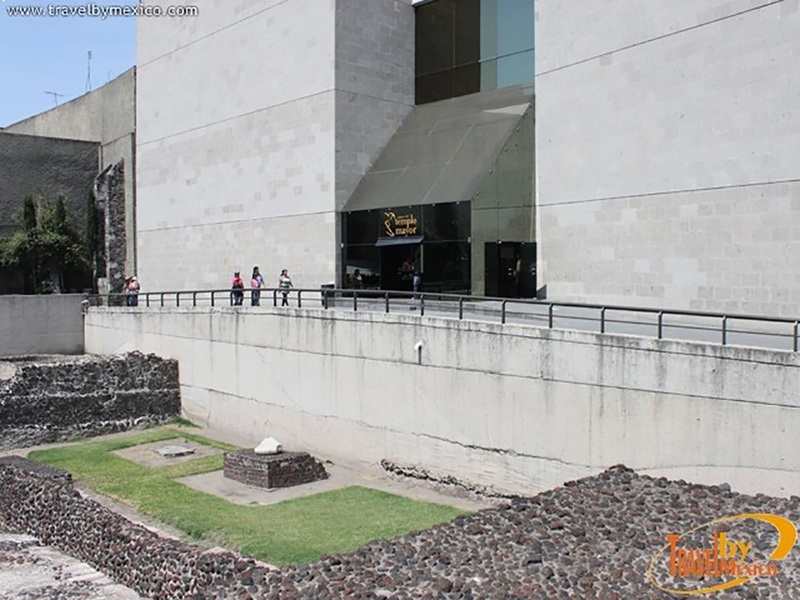 In the Templo Mayor Museum, this piece is accompanied by an entire exhibit. The exhibit shows and explains the pain-staking task of reconstructing the piece, to show how it looked as the day it was buried. Dylan John Leach , “The Jewel of Oxtankah ,” HistoricalMX, accessed April 19, 2019, http://historicalmx.org/items/show/34.